As a psychic reader/spiritual counselor, living in Sedona for the past 10 years, I have heard through the years from people, their stories of how they have come to know about Sedona. For some people it is through a friend, reading about it in a book or magazine, seeing it on television. For others it comes in a dream, told by a psychic to visit Sedona; for others it may be little signs such as a bumper sticker on a car, opening a map and Sedona calling their attention. Many I have heard from, their answer was, “I was just driving and ended up here in Sedona.” Sedona calls you one way or another. It is said – beauty is truth, beauty is spiritual. That certainly is the case with Sedona. 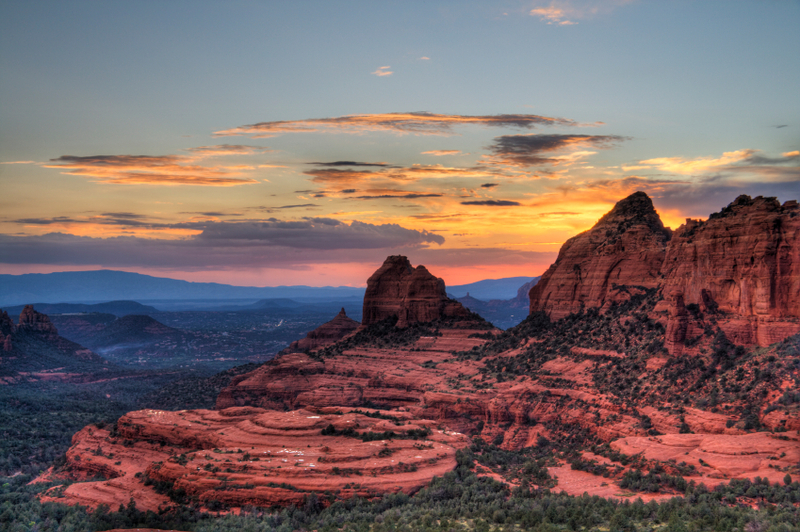 Sedona calls those who are ready to wake up to their spirituality, as it has been doing for hundreds of years. The scenery of the red rocks, the vortex energies of the area, and the peaceful, relaxing and meditative presence that exists here all help to awaken that spiritual presence in us. The Native American Indians of the past who lived here and came to visit Sedona found it to be one of the most sacred places. Sedona affects people in many ways. It can be for it’s beauty of the red rocks, being in nature, golf resorts, weather, and for many it is known as the spiritual new age mecca of the USA. Thousands come here annually to take in the healing energies of Sedona, to do personal growth retreats, massage, psychic readings, tarot, astrology, energy healings. To walk on the land, visit the vortexes, to reconnect to themselves and to their loved ones, taking the time out to do so. The vortex energies of Sedona are real and they are strong, they can help to accelerate your healing and growth process on the mental, emotional, physical and spiritual levels. You could say the energies of Sedona have been known as the catalyst to propel you into a new way of thinking, living and being. Sometimes the experiences you have here in Sedona help put things into motion for you to take the steps needed on you life’s journey. This could mean, re-evaluating your life, what works and what does not.